Sumit Mazumder, CII’s president designate, says infrastructure development is one of the key factors providing for economic growth. 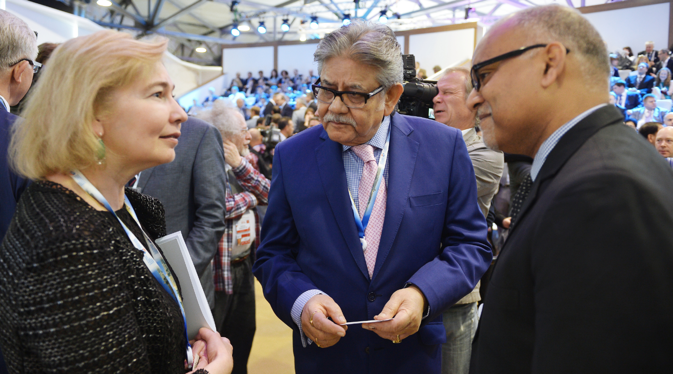 Sustainable global growth requires both emerging and developed economies to move forward, President Designate of the Confederation of Indian Industry Sumit Mazumder said during the St. Petersburg International Economic Forum (SPIEF). “It’s important that emerging economies also are moving forward along with the developed economies,” he said, stressing that while the developed economies showed signs of recovery recently, the emerging markets are still struggling. “Unfortunately the emerging economies haven’t done so well, they are still struggling. Obviously for the world to move forward you cannot have only the developed economies moving ahead, and developing economies moving back,” Mazumder said. “We need an inclusive and positive growth of all economies – developed or emerging,” he added. To achieve growth in emerging economies Mazumder said proper investment is required. And national governments should encourage long-term foreign investments by ensuring on proper regulatory frameworks, investment protection mechanisms, taxation and transparent corporate governance. According to Sumit Mazumder, infrastructure development is one of the key factors providing for economic growth, so that governments should look into the issue and create conditions encouraging foreign direct investment into infrastructure projects. “We need strong cooperation between developed and developing nations to achieve sustainable growth in the long-run,” Mazumder concluded. As India is in the process of government formation at the moment, the country just sent a delegation of 12 people for this year’s SPIEF. In 2013, the Indian delegation was led by the then Indian Minister of Trade and Industry, Anand Sharma and comprised of the captains of Indian industry in including Kris Gopalakrishnan and Kiran Mazumdar-Shaw. Based on an article first published by RIA Novosti.